Synpak Polycrystalline Diamond Compacts (PDC) for drilling in oil, gas and mining applications. 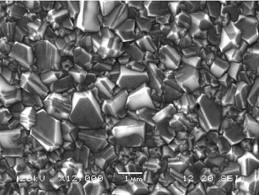 NanoPak Thermally Stable Polycrystalline diamond composites (TSP) for wear parts in the oil and gas industries. PolyDie polycrystalline diamond wire drawing die blanks. Synpak PDC and PCD are produced by intergrowing micron sized diamonds to produce a solid continuous layer of polycrystalline diamond supported by a tungsten carbide substrate. The polycrystalline diamond layer is anisotropic in characteristic and, by its polycrystalline nature, it has no natural cleavage or wear direction. 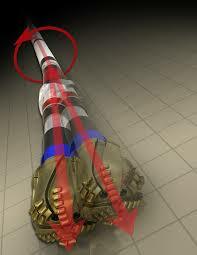 As result of the production process, it is exceptionally tough. The tungsten carbide substrate provides mechanical support for the diamond layer and an option for attachment by brazing, adhesives or mechanical means. It is available as a blank up to 55mm in diameter with a range of diamond thicknesses up to 2.5mm and a range of tungsten carbide thicknesses. The cutting and wear behaviour of Synpak materials can be engineered, by choice of micron diamond distribution, additives and growth conditions, to optimise the performance of the material for each application. Synpak PDC is the premium product, developed for the challenging drilling conditions encountered in the oil, gas and mining industries. In addition to the conventional stud cutters NDP supplies angled stud cutters, long substrate cutters and domed cutters. Synpak PCD is used primarily for the manufacture of cutting segments and dressing tools for the machine tool industries. NDP supplies PCD in full discs up to 55mm diameter, a wide range of finished shapes and a range of diamond grades. In addition, Synpak PCD is also used as a wear part material in a diverse range of applications requiring extreme wear resistance such as encountered in downhole drilling applications. PCD has a maximum working temperature of 700 deg C in air; beyond this temperature the PCD will thermally degrade. For higher temperature applications, NanoPak Thermally Stable Polycrystalline provides an excellent alternative to conventional PCD. 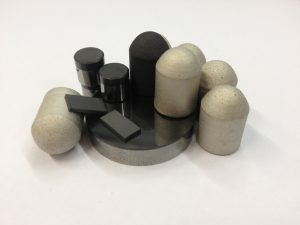 NanoPak is a composite structural ceramic consisting predominantly of silicon carbide and synthetic micron diamond sintered together to form a solid matrix. It is available as discrete segments up to 20mm cubic and the manufacturing process and post-processing options allow for a variety of geometries and sizes to be produced. 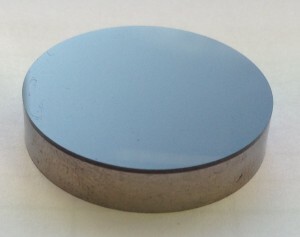 Key to the successful use of NanoPak is the provision of a range of coatings that allow the segments to be bonded to a working surface and NDP have developed a range of such coatings.NanoPak is available with a range of diamond distributions and bond derivatives to provide an optimised balance between wear and toughness. 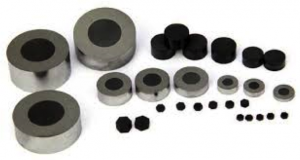 NDP have also introduced a range of polycrystalline diamond die blanks, PolyDie, with both supported and unsupported configurations and with a range of sizes and grades.